For those of you who don't know, Jon and I will be moving out of Enid by September, possibly even as early as July depending on his next job. With moving and relocation costs less than 6 months away, we thought it would be best to scale back our original plan of an extravagant 1-year anniversary trip, for one that will be more practical for us at the moment. 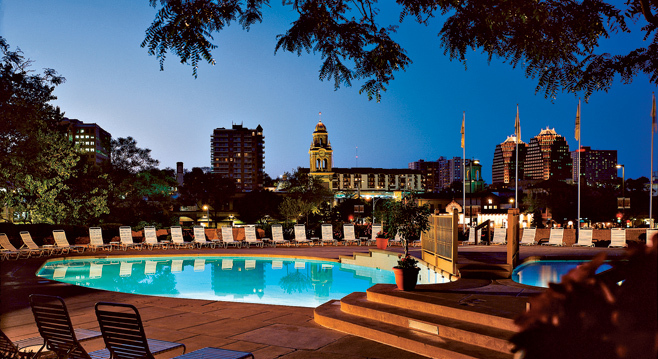 At first, you might only think of barbecue, but let me tell you, this place has way more to offer than just that! 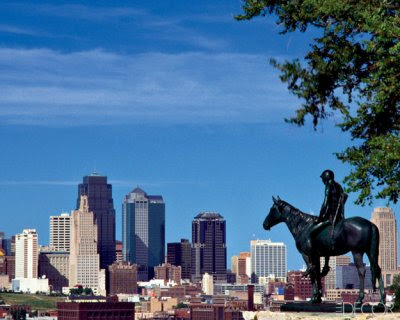 With more boulevards than any other city in the world besides Paris, it has been deemed the "Paris of the Plains." 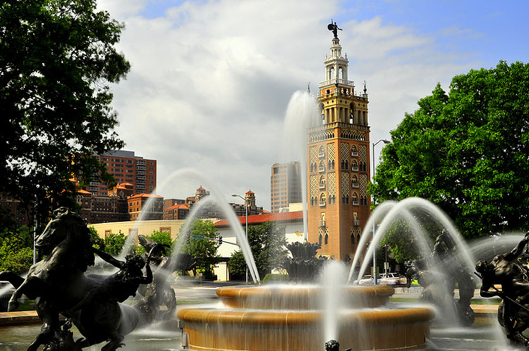 Kansas City is also known as the City of Fountains, boasting over 200 fountains, the second most in the world, just behind Rome. 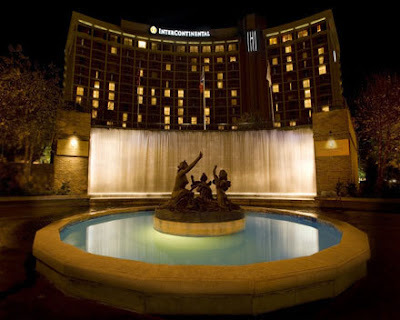 We'll be staying at the Intercontinental Hotel in the Country Club Plaza, the center of many cultural events, shopping and dining. Established in 1922, the Country Club Plaza was architecturally designed after Seville, Spain. 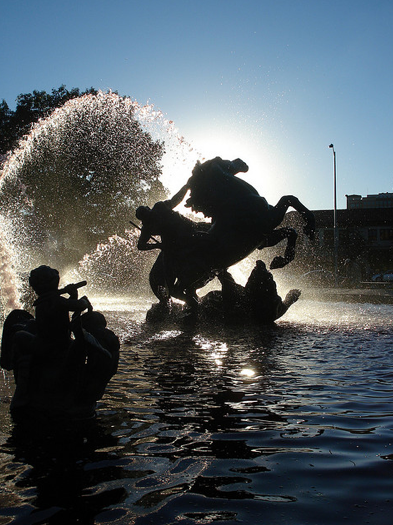 The Plaza reflects classic European influences with more than 30 statues, murals and tile mosaics on display in the area. 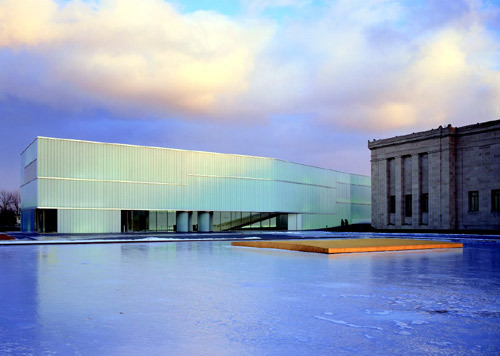 Kansas City is also the home to the Nelson-Atkins Museum of Art, housing one of the best collections of impressionist (my favorite!) 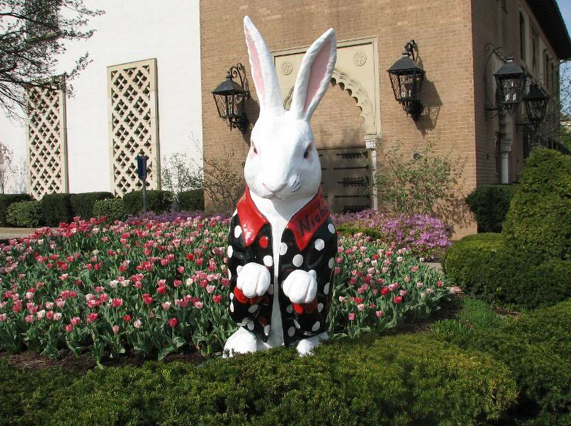 and Chinese art in the Midwest. 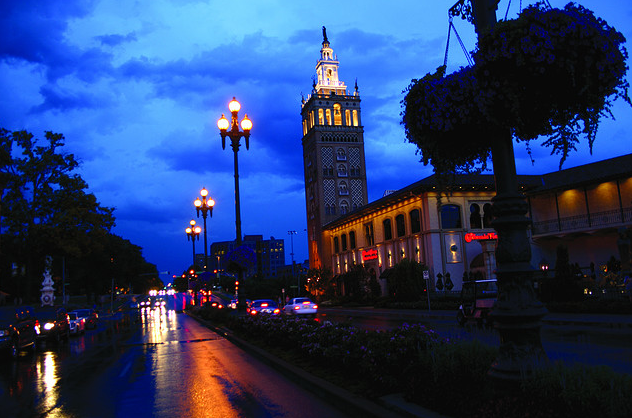 After visiting one of the many museums, you can grab a bite to eat at Cafe Europa (known for their yummy desserts!) 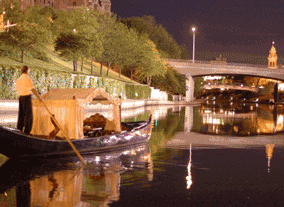 before heading down to the river for a romantic gondola ride. 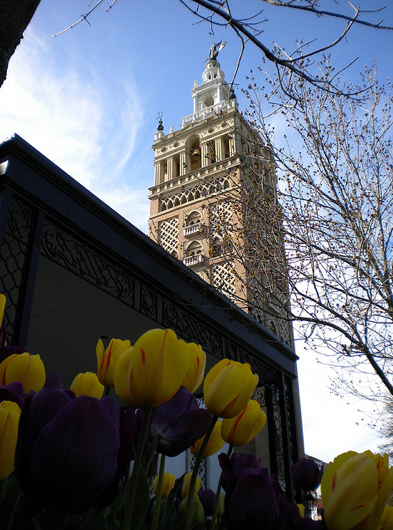 Aside from its beauty and many entertainment opportunities, Kansas City is also perfect because it goes all out to celebrate the holiday our anniversary lands on--Easter. The Easter bunnies in the Plaza is a tradition that was started in the 1930s and is still thriving today. 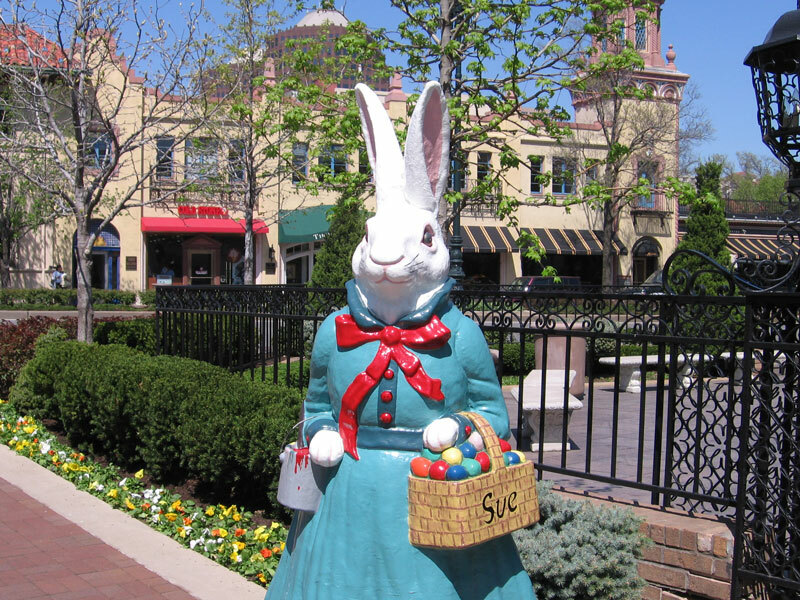 Each year, larger-than-life Easter bunnies are scattered all over the Country Club Plaza for locals and tourists to find--they even have a map pinpointing their locations. Pretty cute. 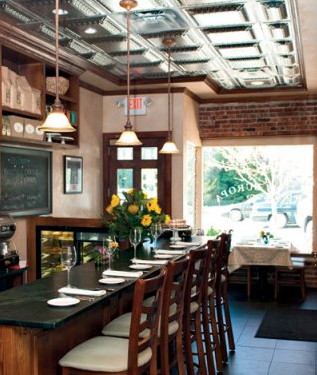 I've also heard great things about Christopher Elbow Artisanal Chocolates. 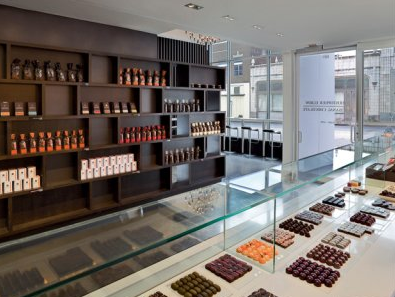 This chocolate lover will definitely have to check it out. So much to do. So much to see. So much to celebrate! In closing, I'll leave you with a quote from a write-up Elle Decor did on the city. 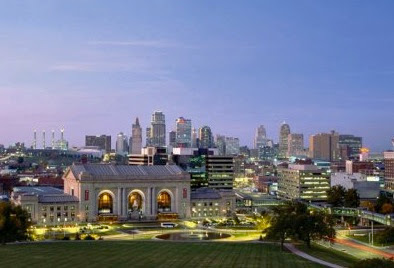 "You can’t anticipate Kansas City’s charms by looking at a map. 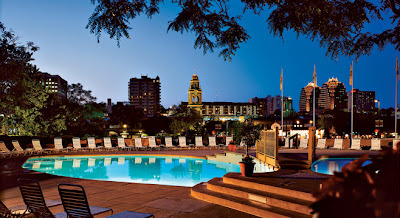 It has all the elements that create a rich urban experience, coupled with a gracious, small-town intimacy that ensures an easy stay—for a weekend or a lifetime." That's just what we want, and we can't wait to see it for ourselves!